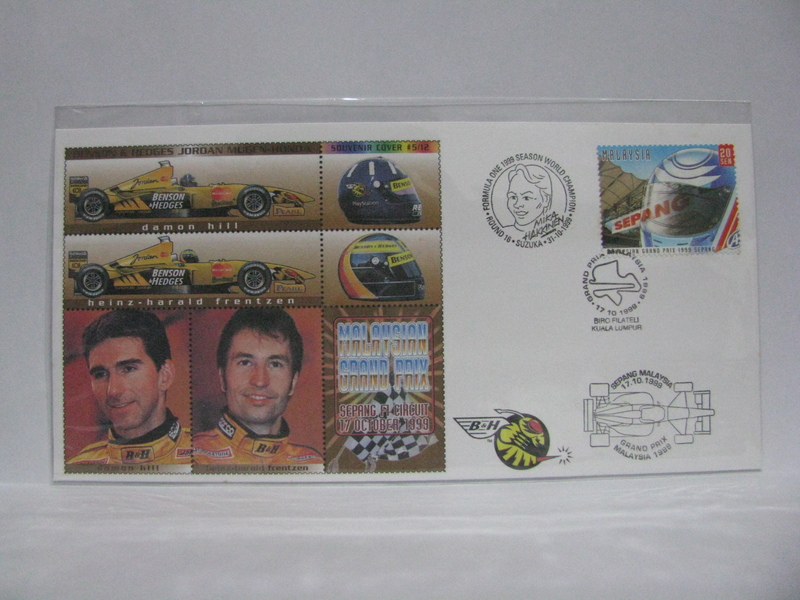 1999 probably goes down in history as holding the “Most Stamp Issues in a Year” title. 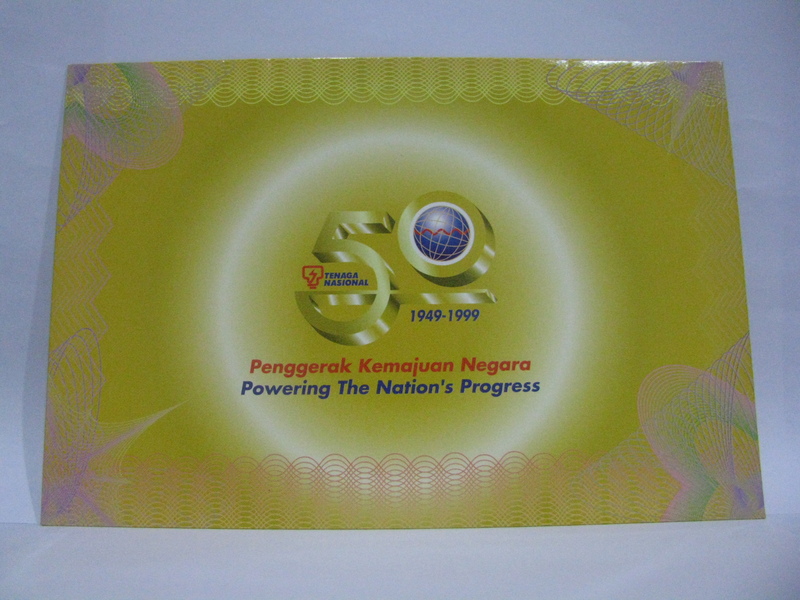 Far to many gimmicks were issued – imperforate sheets, folders, portfolios, souvenir envelopes, commemorative books, etc. This page took me days to create. Enjoy! 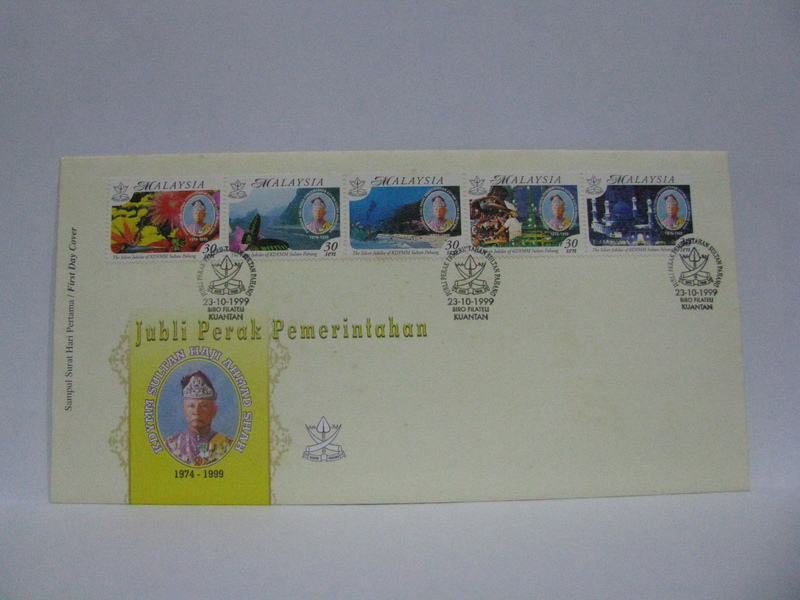 The FDC was cancelled in Kuala Terengganu. 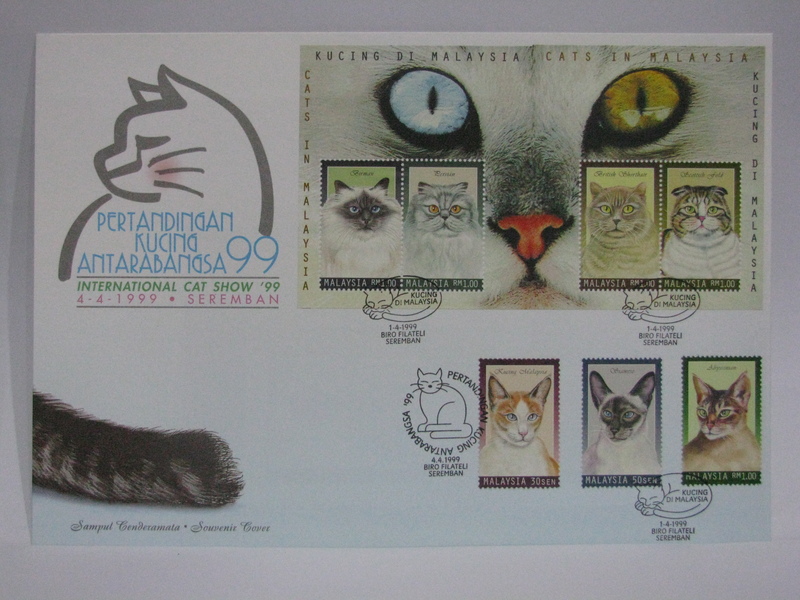 This set of covers was cancelled in Serembam where the International Cat Show ’99 was held. 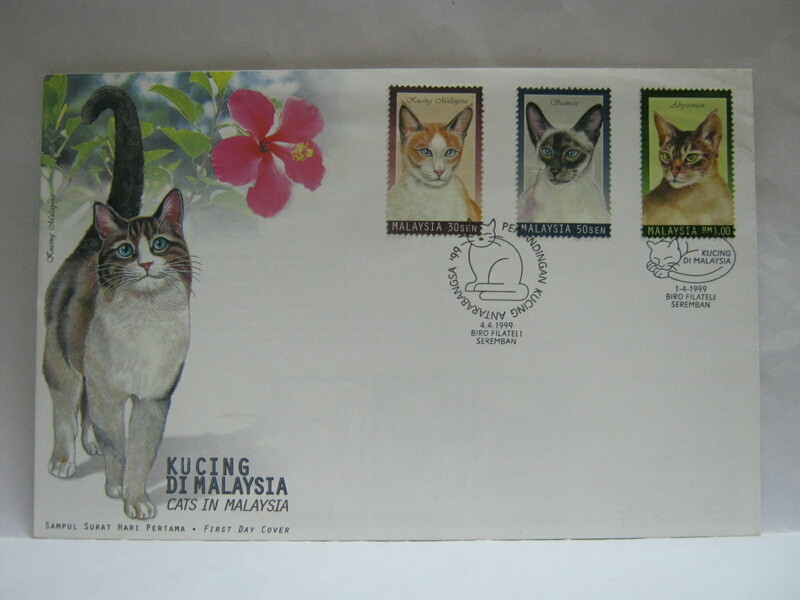 In a play of words, this cover was cancelled in Kuching! 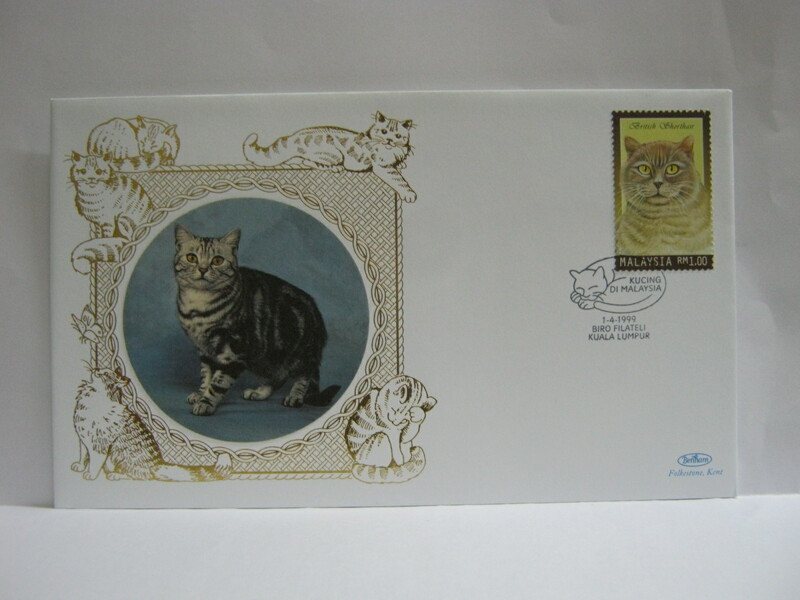 Here are the FDCs issued by Benham. 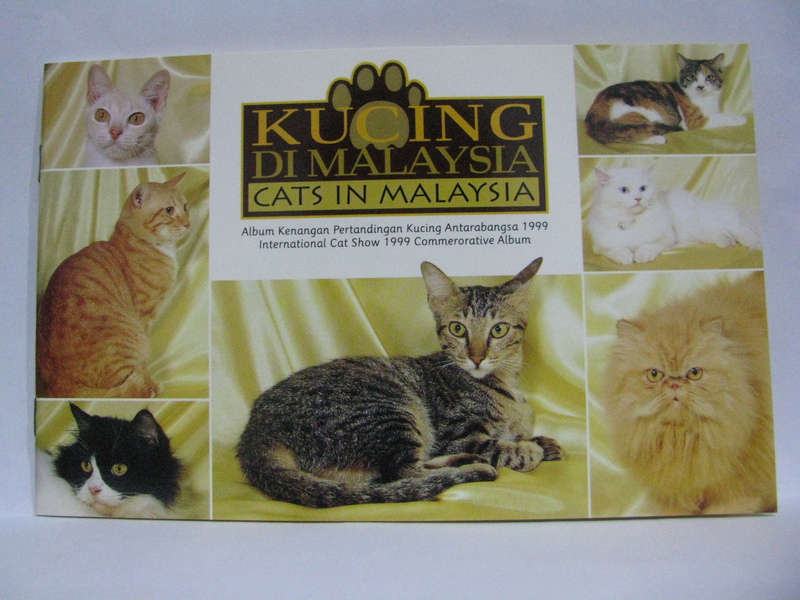 It is part of a global thematic series on Cats. 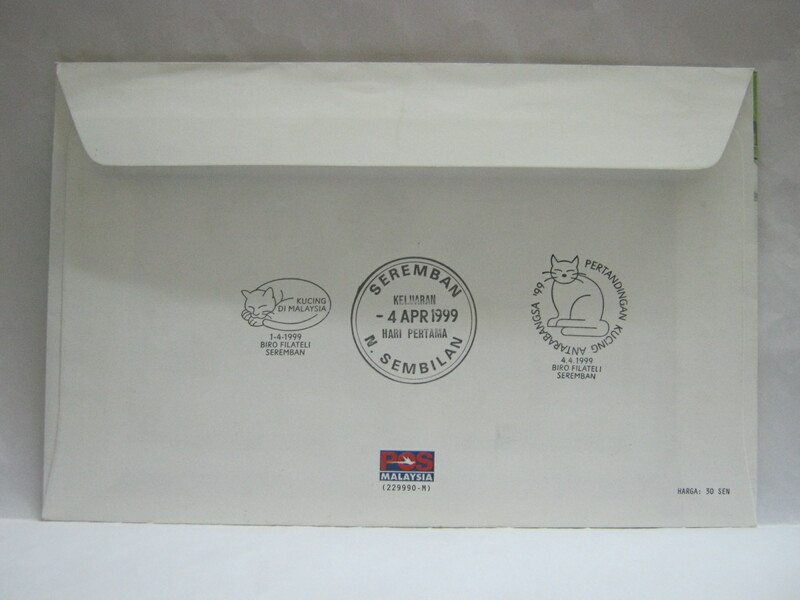 This is the special souvenir cover issued for the International Cat Show ’99 and cancelled with the Seremban cancellation as well as the Pertandingan Kucing Antarabangsa ’99 Seremban. 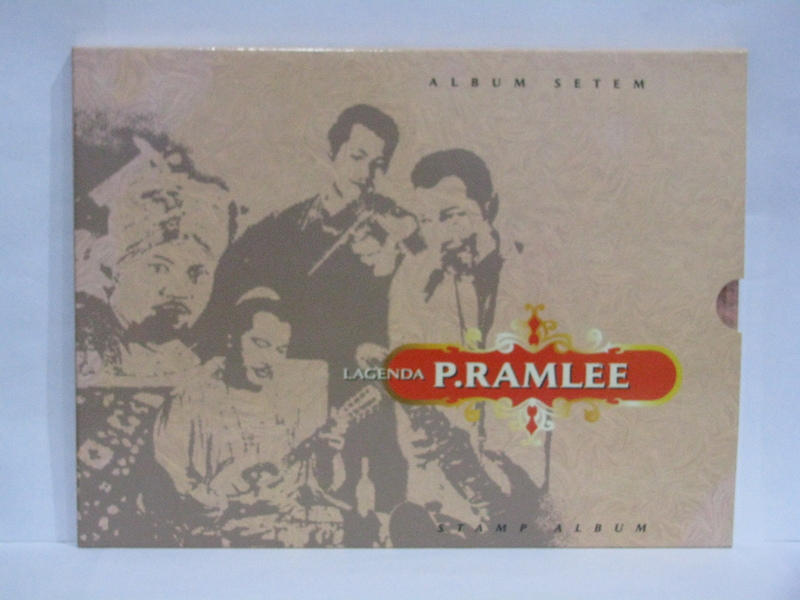 The cover was sold along with a Commemorative Album. 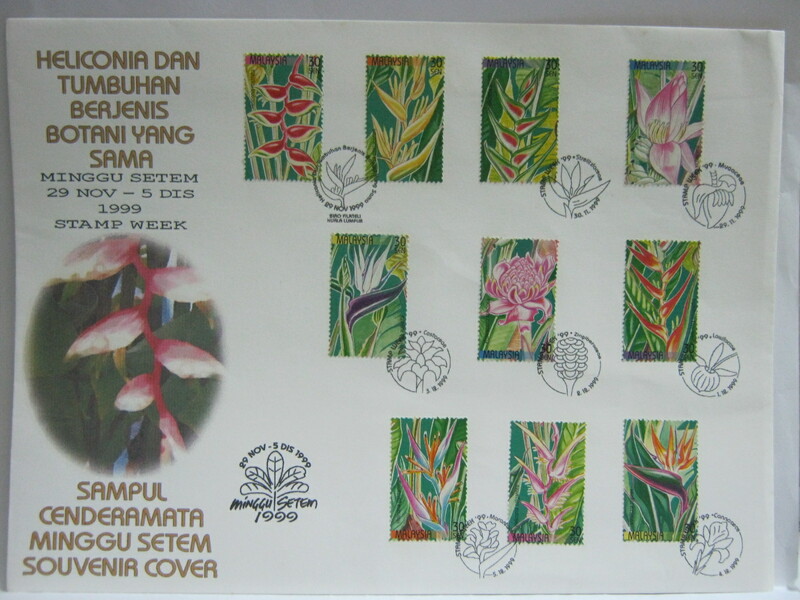 Here is an interesting souvenir cover with the 01 April 1999 Seremban cancellation as well as the Pertandingan Kucing Antarabangsa ’99 Seremban. 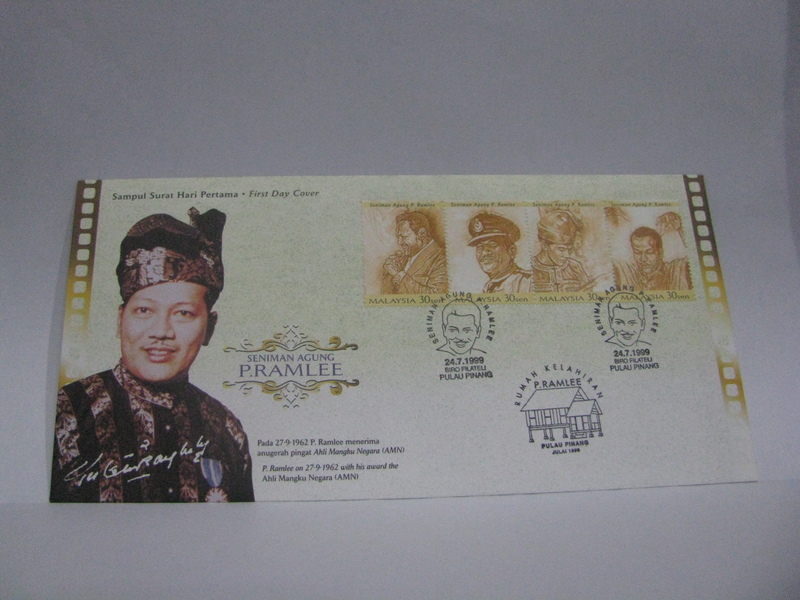 On the back is an additional normal circular Seremban First Day of Issue cancellation. 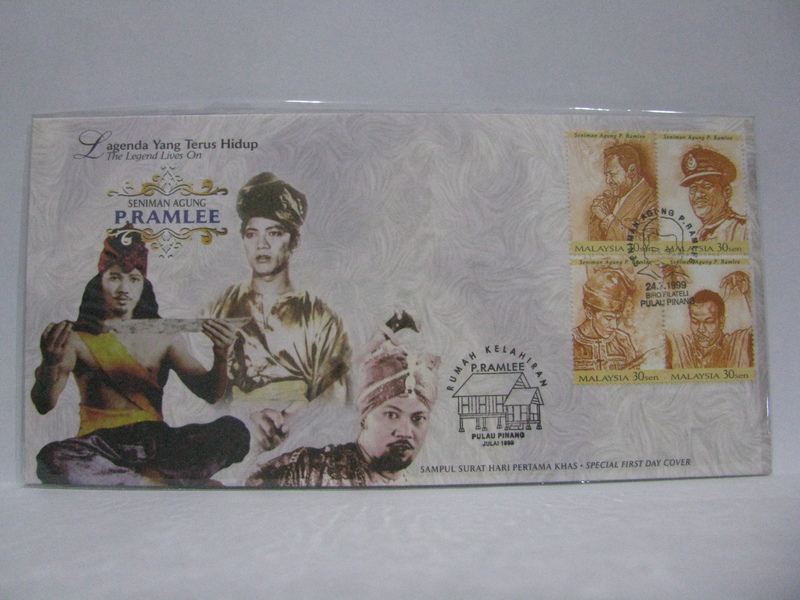 This is one of the hottest issue. 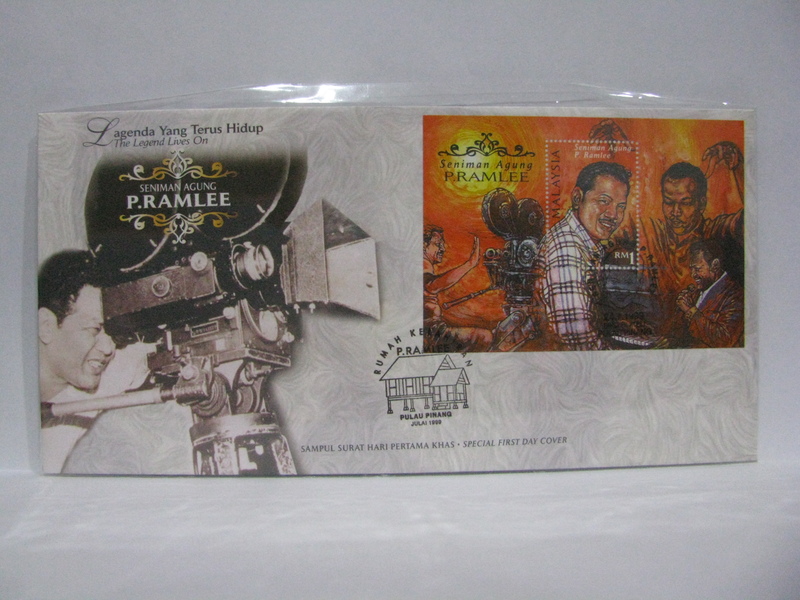 A special cachet Rumah Kelahiran P. Ramlee was provided in the house where P. Ramlee was born in Penang. 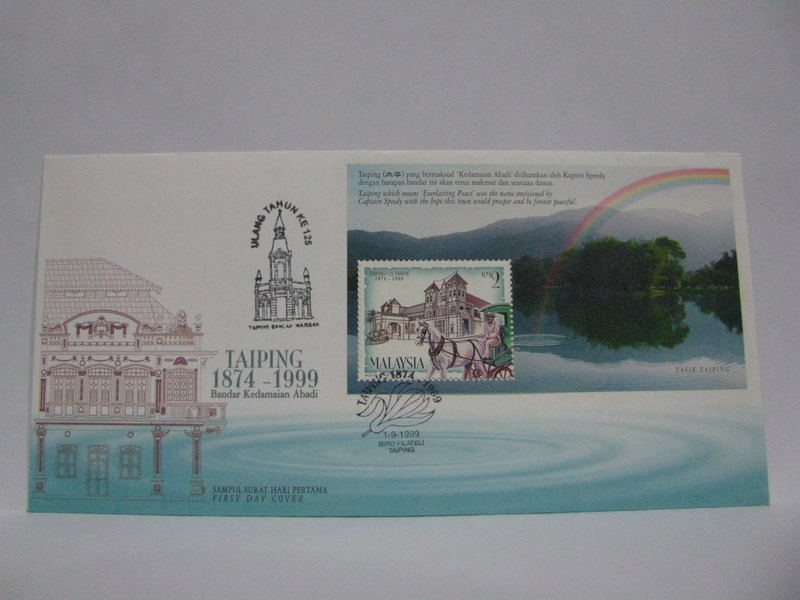 This cachet is only available in Penang (at the house) and also in a special Stamp Album making it rare. The queue in Penang ran for hours! 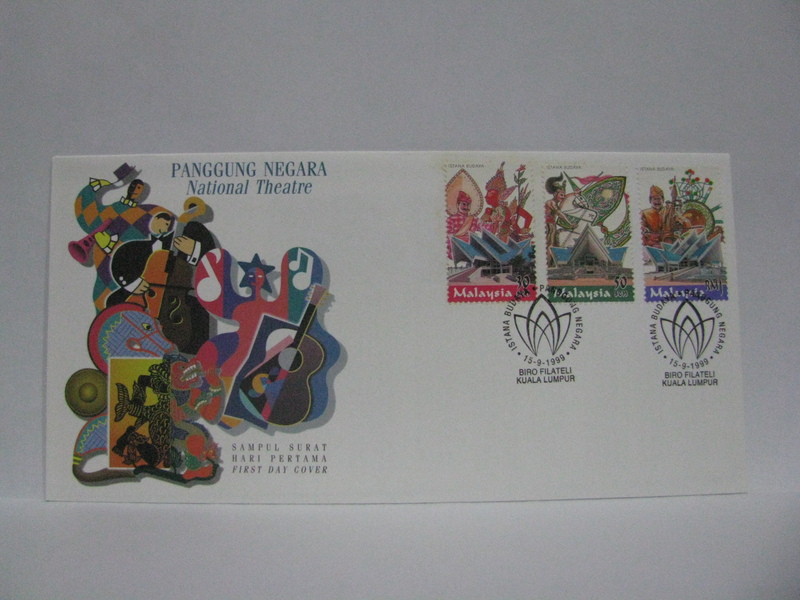 All covers were cancelled in Pulau Pinang. These are the special Stamp Album FDCs cancelled with the Pulau Pinang and Rumah Kelahiran P. Ramlee cancellations. 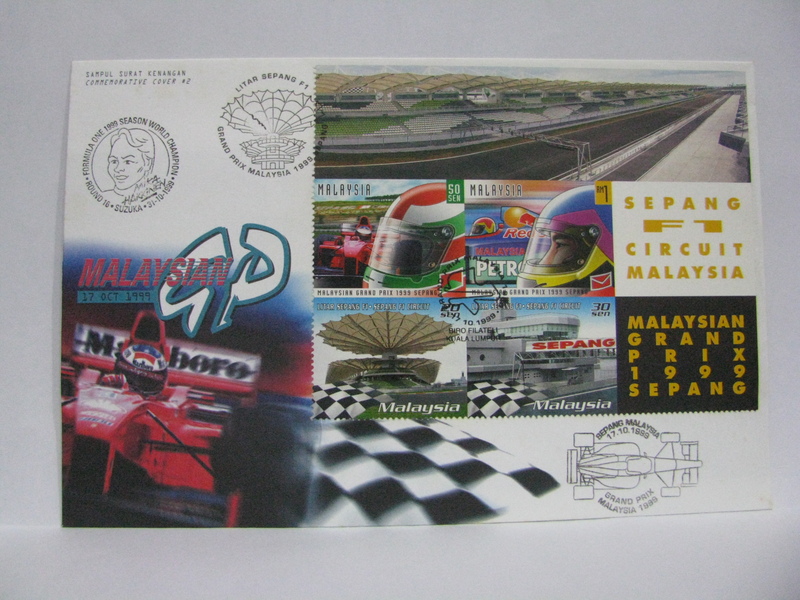 The FDCs were cancelled in Kuala Lumpur and Suria KLCC. 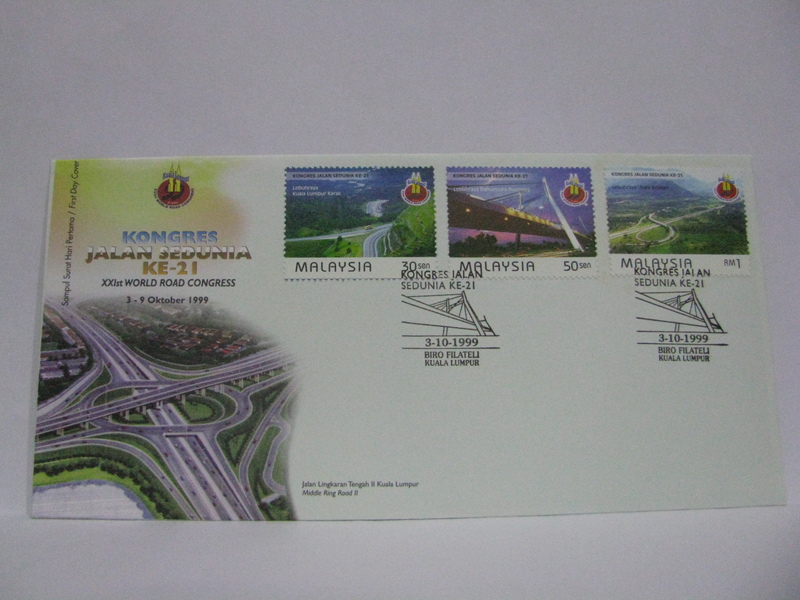 These are probably the few Suria KLCC cancelled FDCs in existance. They are very rare. 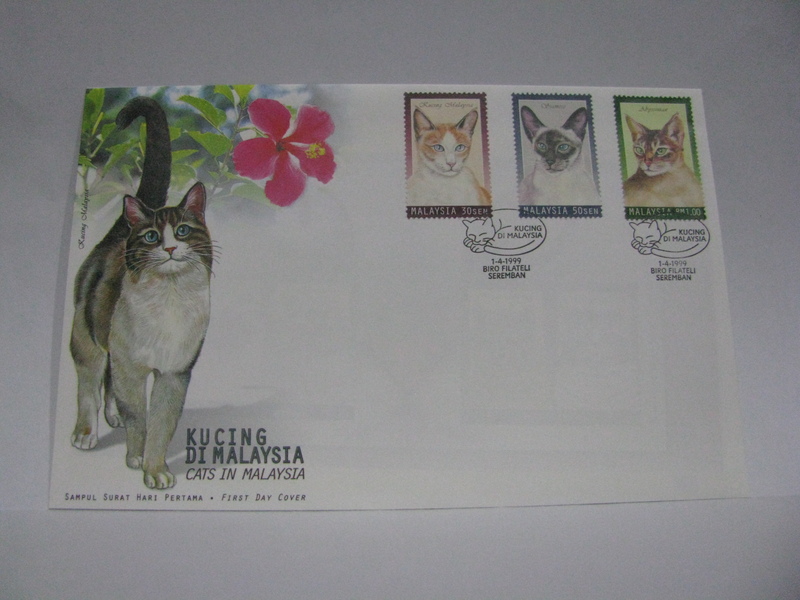 Most collectors were content with the Kuala Lumpur Philatelic Bureau cancellation as at that time KLCC Post Office does not have a special cancellation. 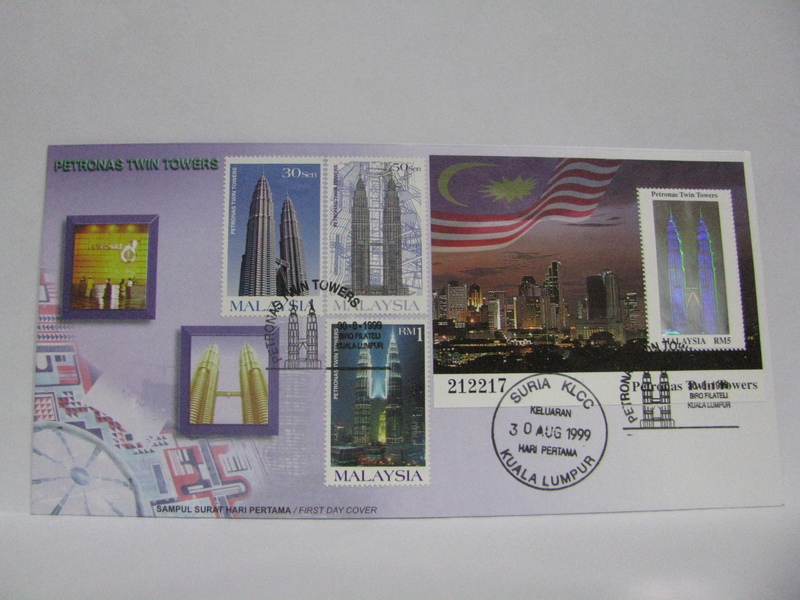 Note: Forged Suria KLCC cancellations exist especially on the Imperforated MS FDC. 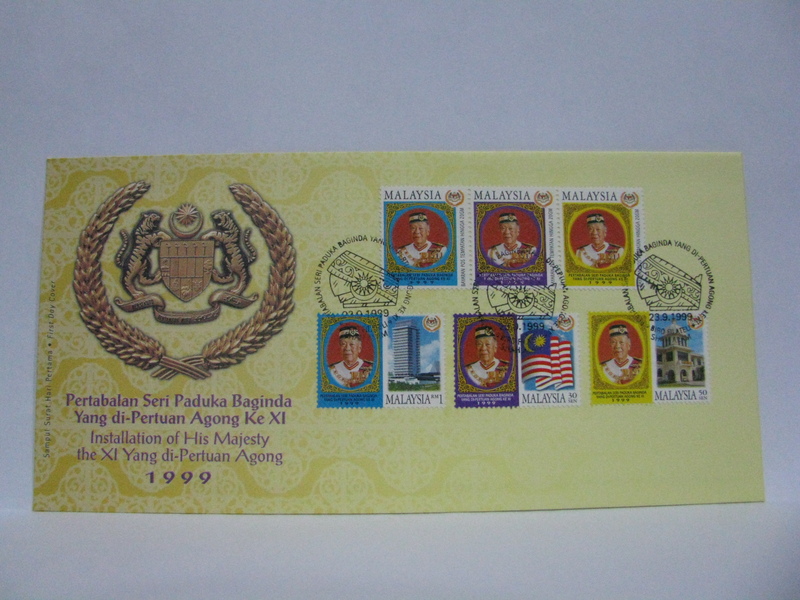 The Imperforated MS were issued AFTER 30 August 1999. The fake cancellations were not backdating using the actual canceller but a remake of the cancellation. The font is different. 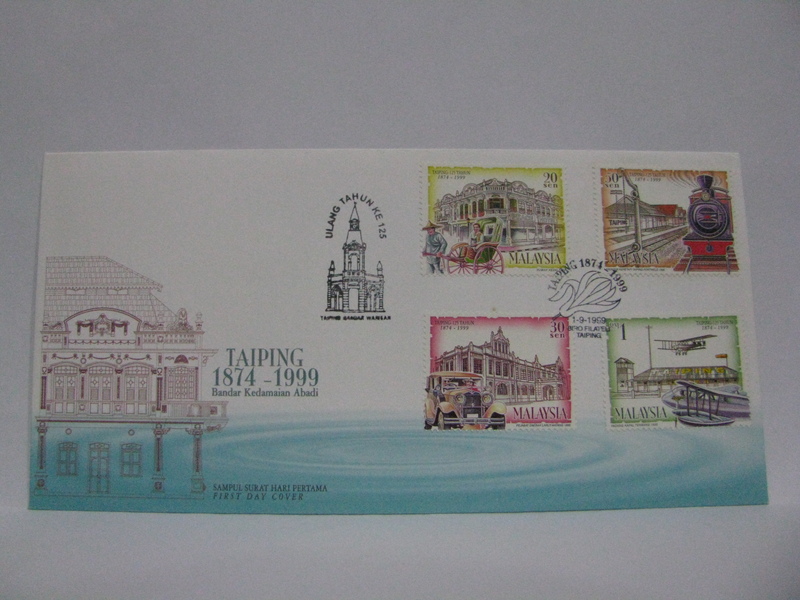 The FDCs were cancelled in Taiping and includes a very rare cachet Ulang Tahun 125 Taiping Bandar Warisan. 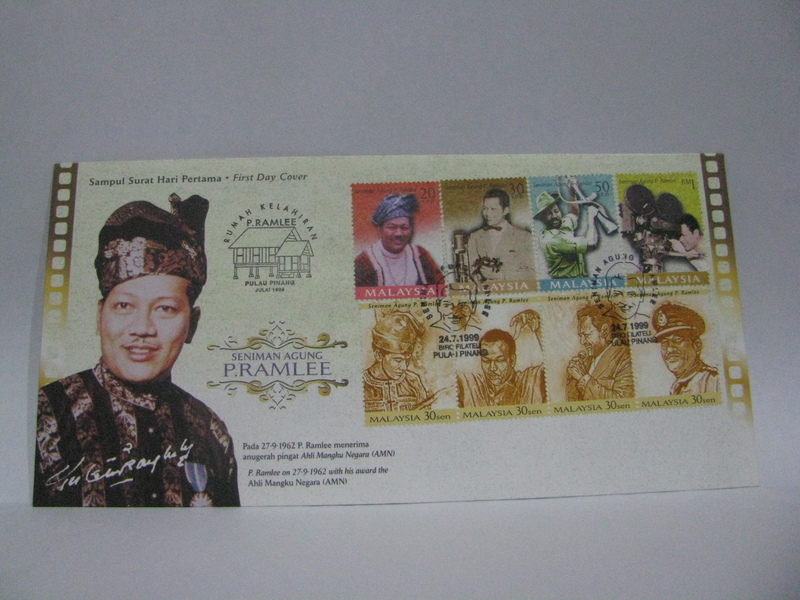 Fake cancellations exist using inkjet for this issue. 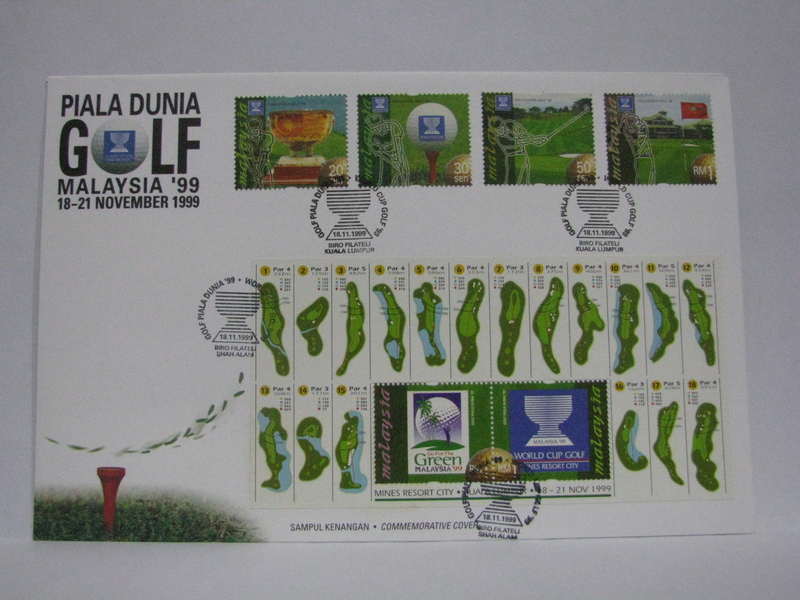 This set of FDCs were cancelled in Kuala Lumpur. 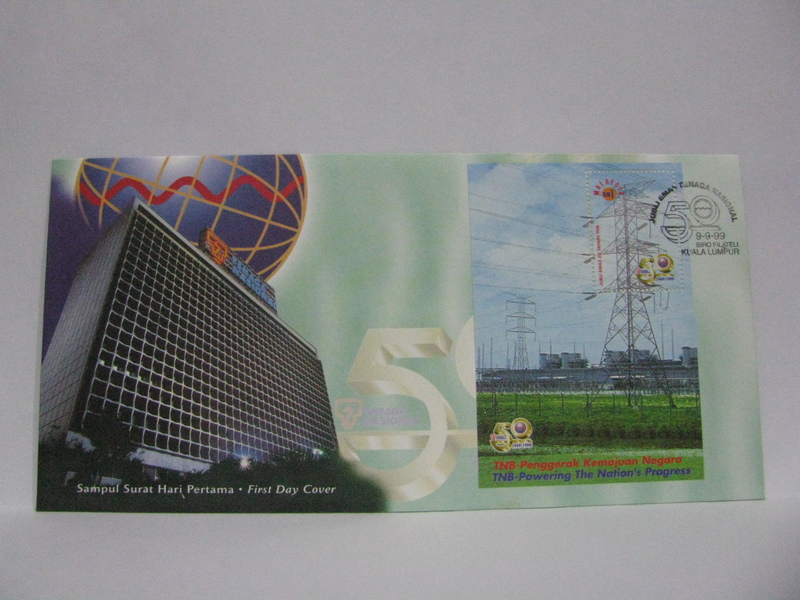 A composite FDC was issued in a folder by Pos Malaysia. 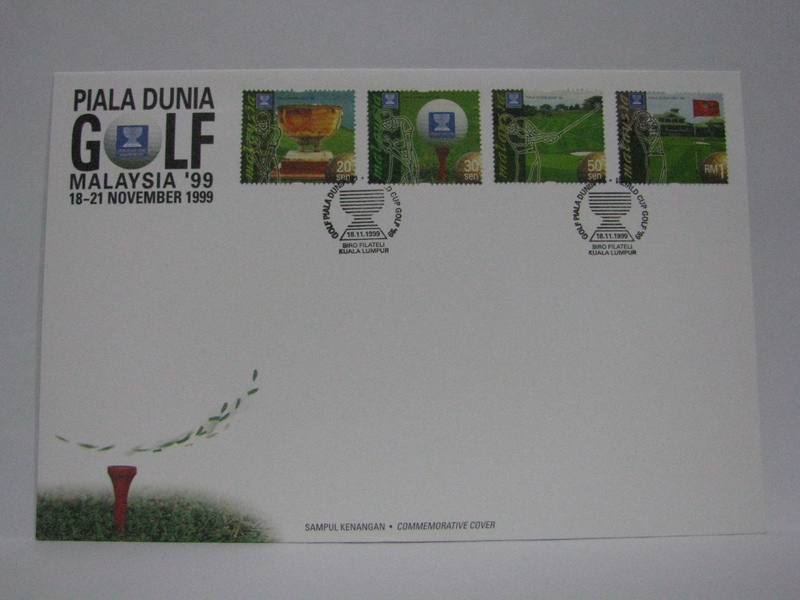 The cover was cancelled in Kuala Lumpur and includes a Jubli Emas Tenaga Nasional 09 – 12 Sept ’99 cachet. 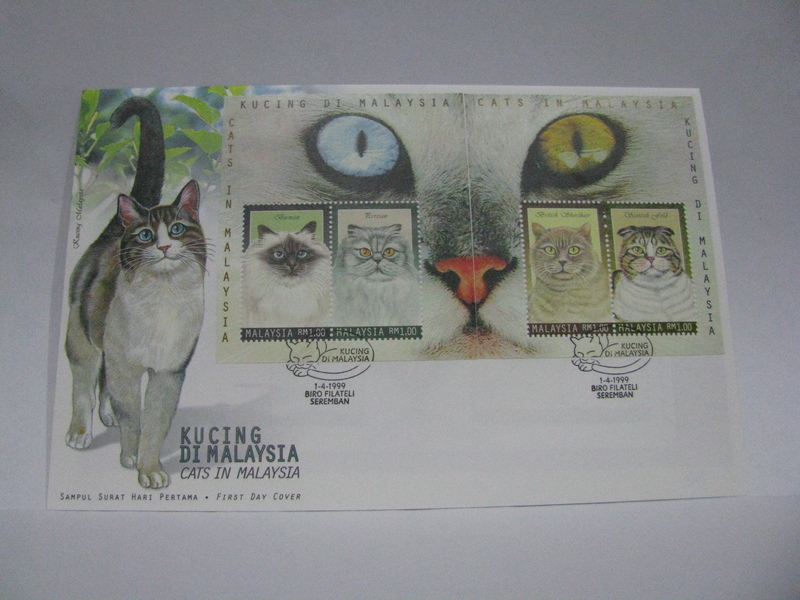 The FDC was cancelled in Kuala Lumpur. I do appreciate it if you have any information of any special venue cancellations to share. 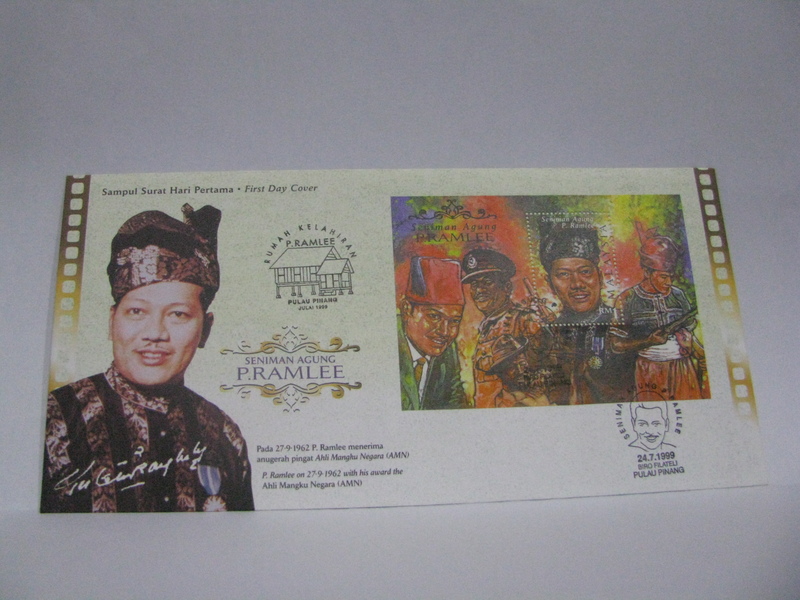 The FDC was cancelled in Shah Alam. 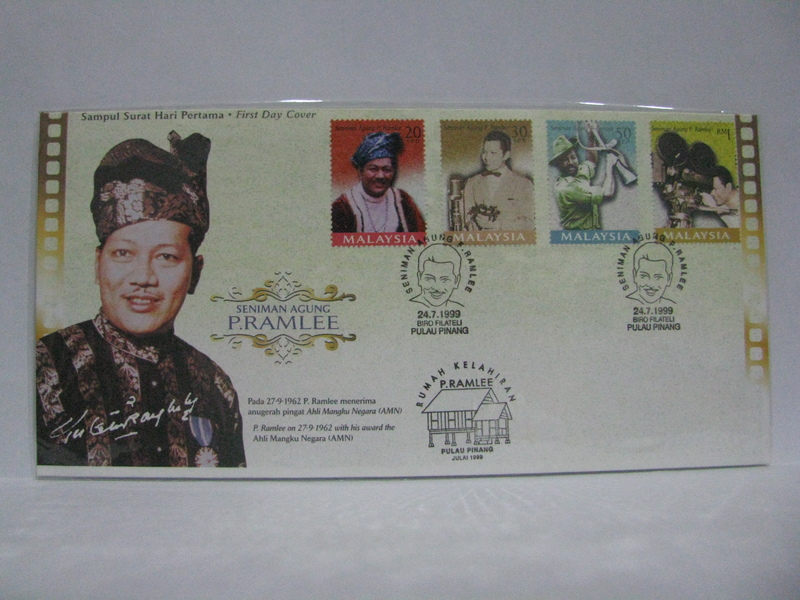 The FDC includes a set of No Value Indicator stamps – the first time in Philatelic history. 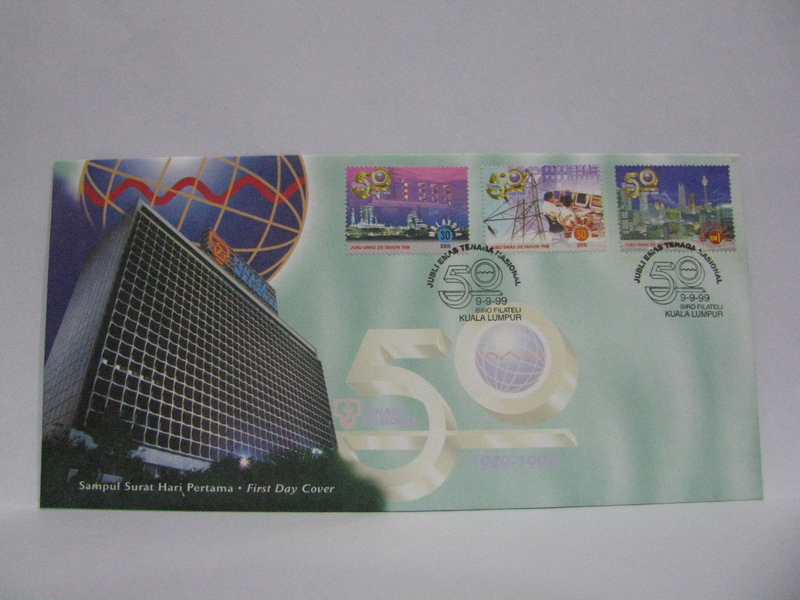 The FDC was cancelled in Kuala Lumpur where the congress was held. 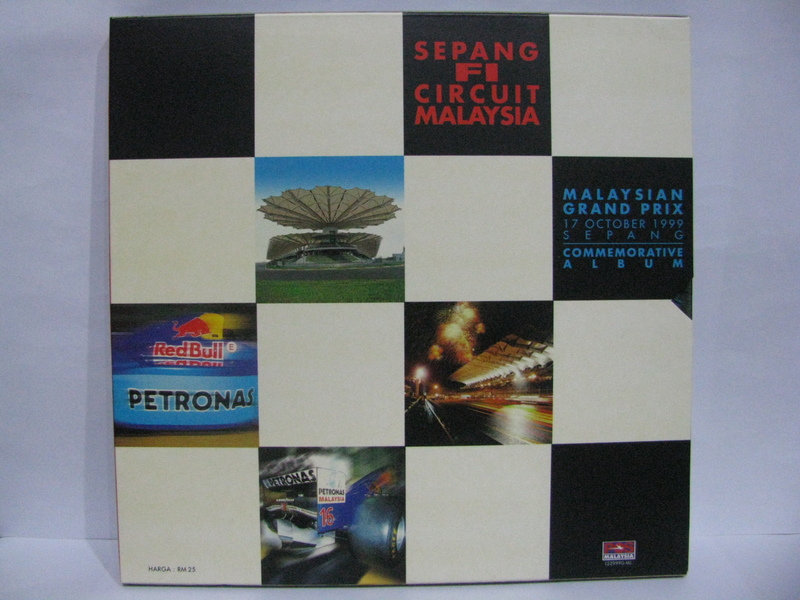 I am searching for Kelana Jaya, Senawang and Karak cancellations. 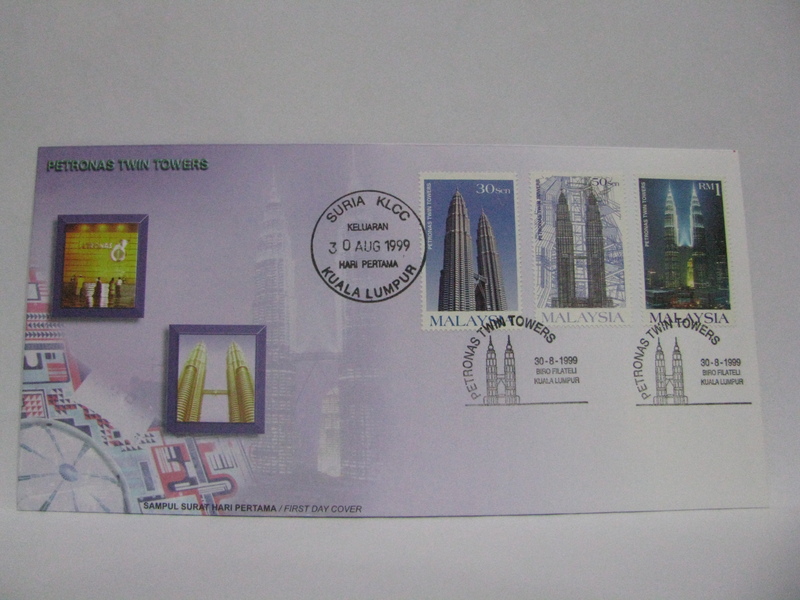 This FDC was cancelled in Kelana Jaya. 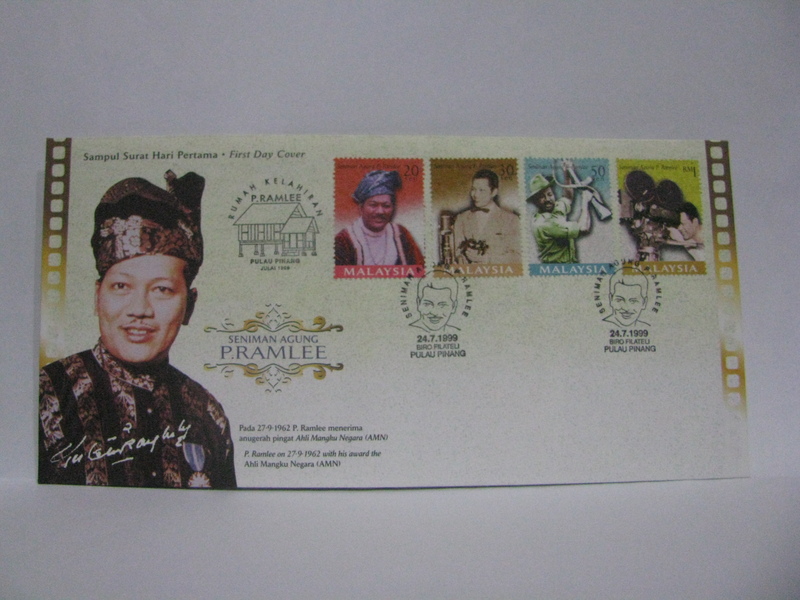 Kelana Jaya Philatelic Bureau is located along Lebuhraya Damansara Puchong (50 sen stamp). 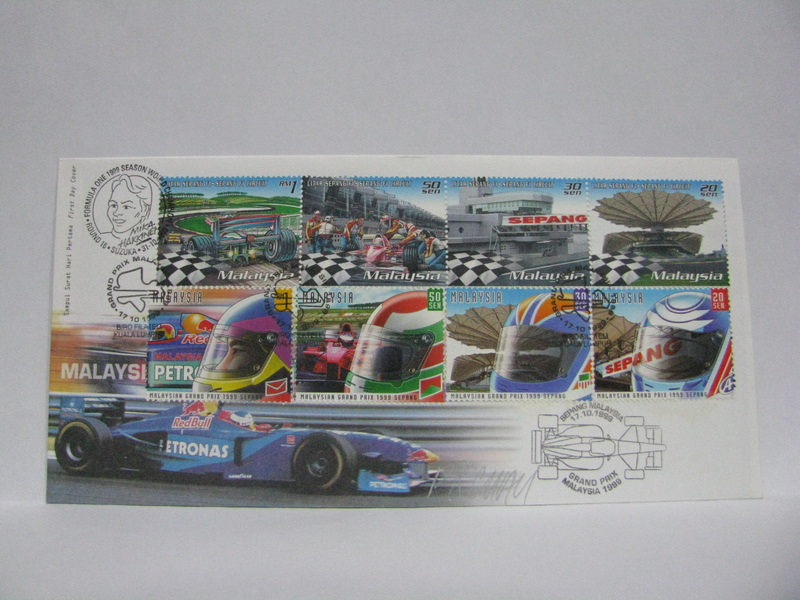 The FDC was cancelled in Kuala Lumpur along with a Sepang Grand Prix Malaysia 1999 cachet and signed by the designer, PK Chuah. 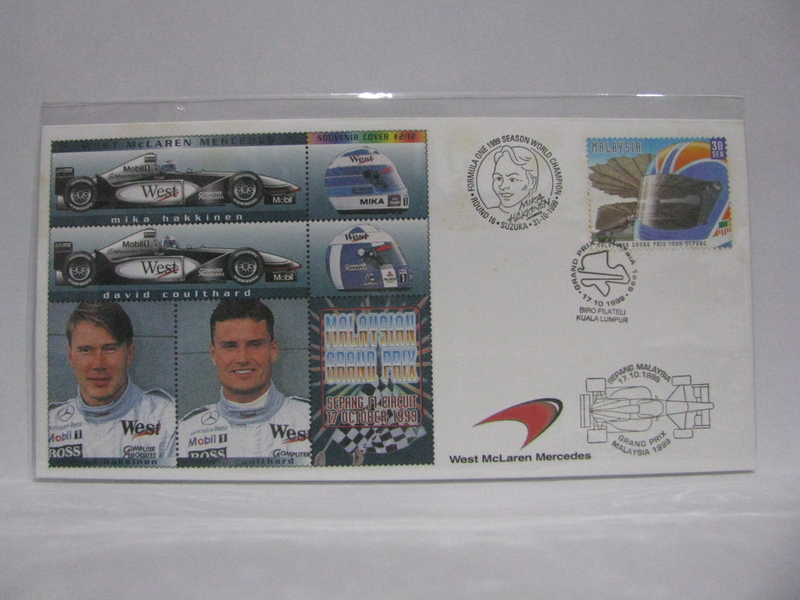 There is an additional Mika Hakkinen cancellation (31 October 1999) issued to commemorate his win in Suzuka soon after the Malaysian Grand Prix. 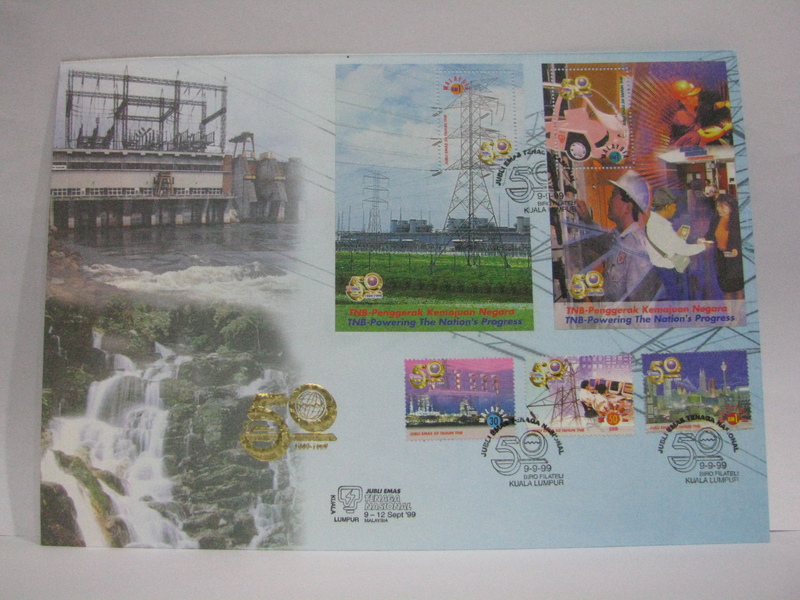 On the same day a set of 2 commemorative covers were issued in a Commemorative Album. 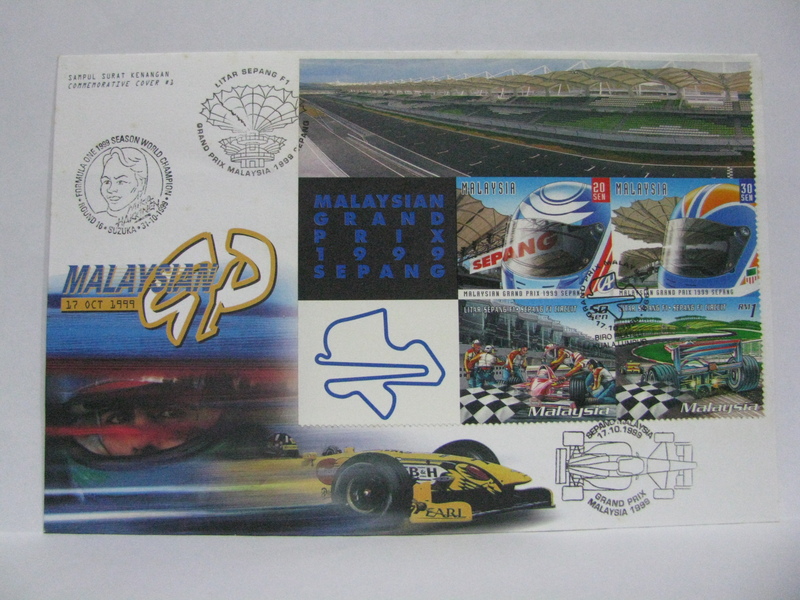 The additional cancellation is the Litar Sepang cancellation. 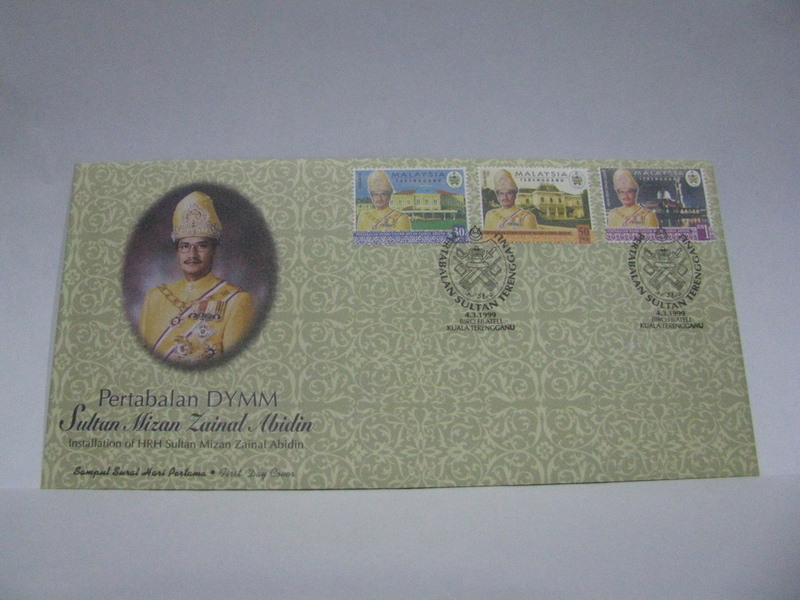 This cancellation was jealously guarded on the day of issue as it is to be used on the 2 commemorative covers and on the album. 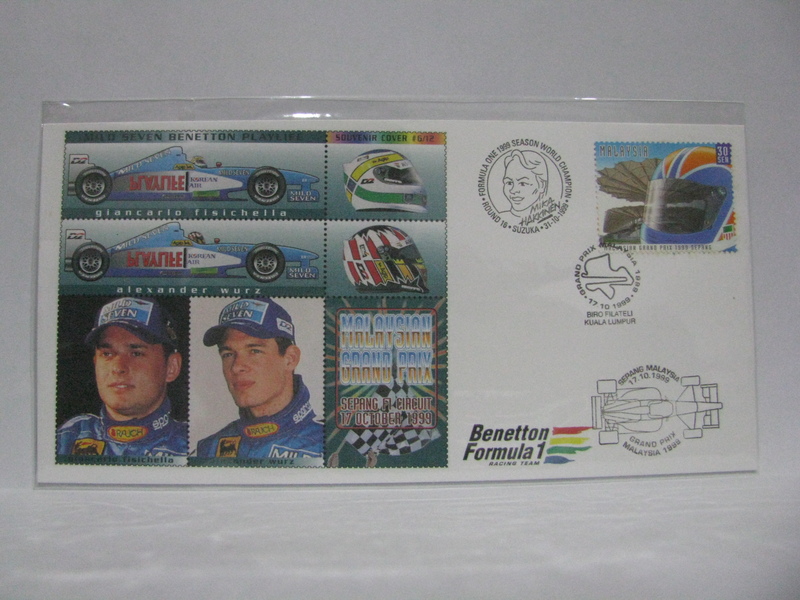 Trivia: If you noticed, cigarette sponsorship logo was not blanked off on the envelopes (including in the souvenir covers). 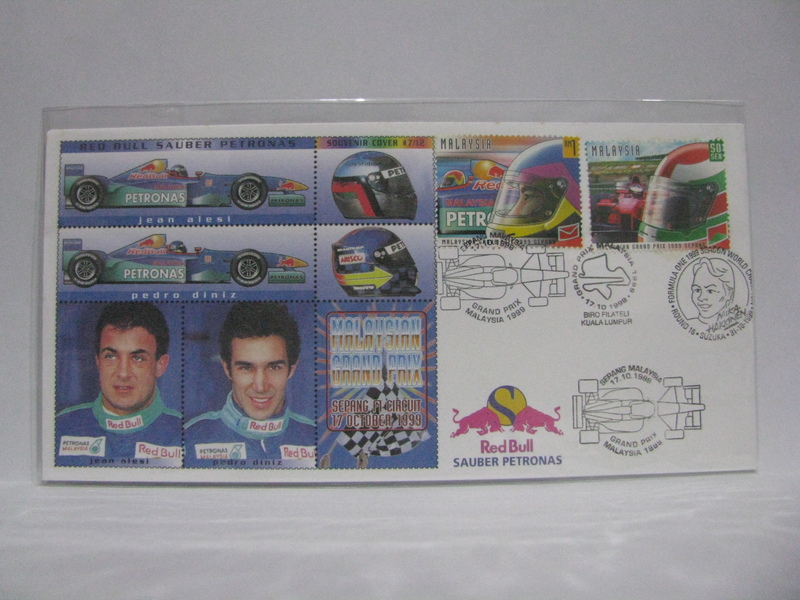 Usually the F1 cars comes in 2 subtle paint work. 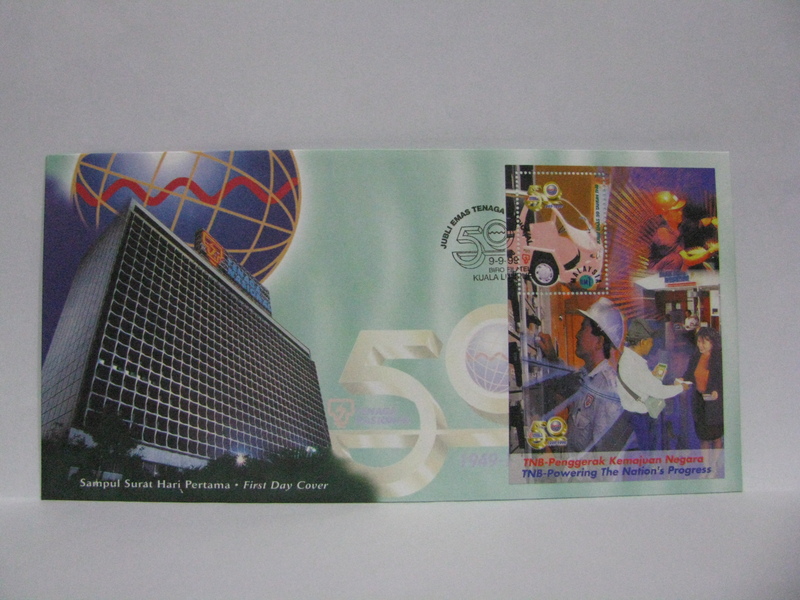 A version without the cigarette sponsorship logo is used in countries where the practice is banned. 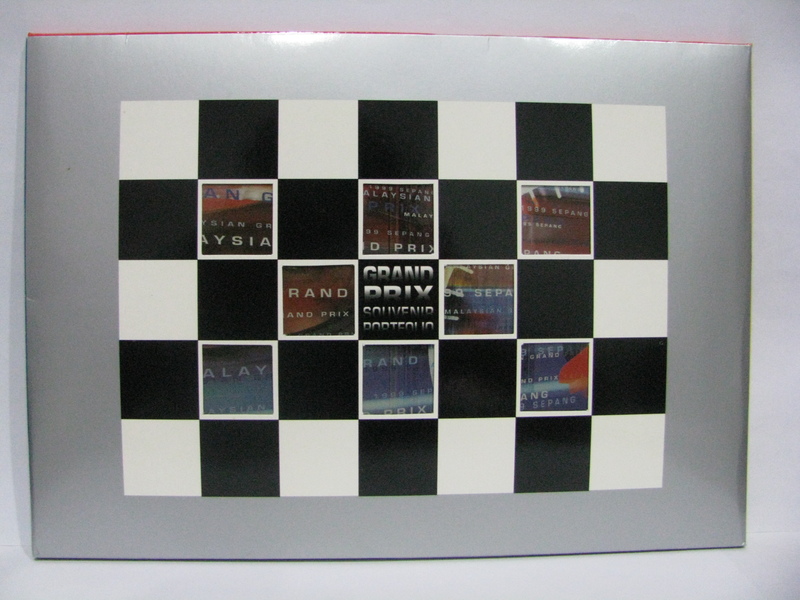 This applies to the general promotional media where the “no logo” cars images are used. Check out the model cars in hobby shops, these do not have any sponsorship logos! 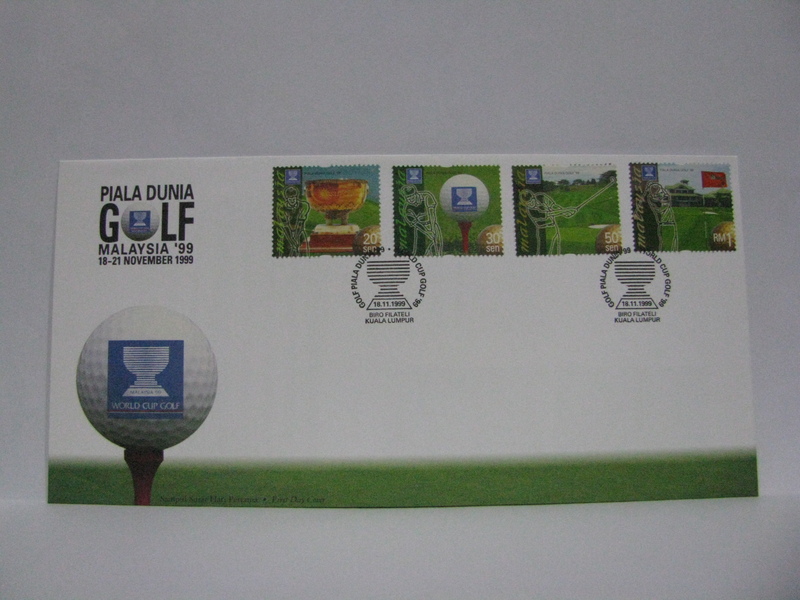 To top it all up, Pos Malaysia issued souvenir covers of each participating team in a Souvenir Cover Portfolio. 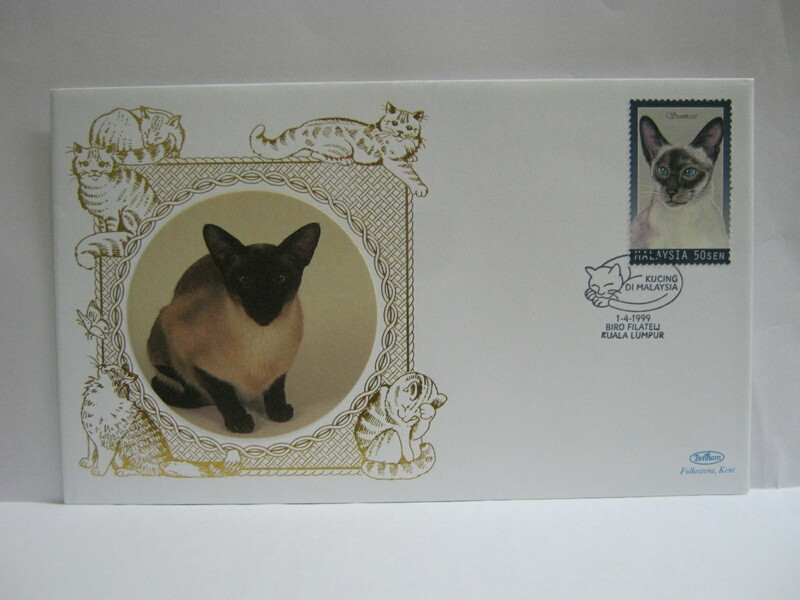 It was basically a set of 12 special envelopes! 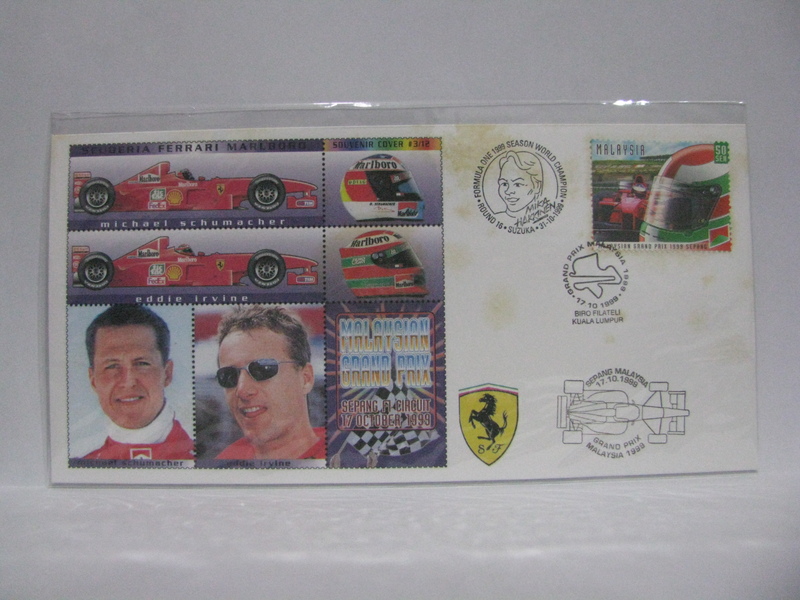 This set the precedent for mass issue of gimmicks. Here are the 12 covers! 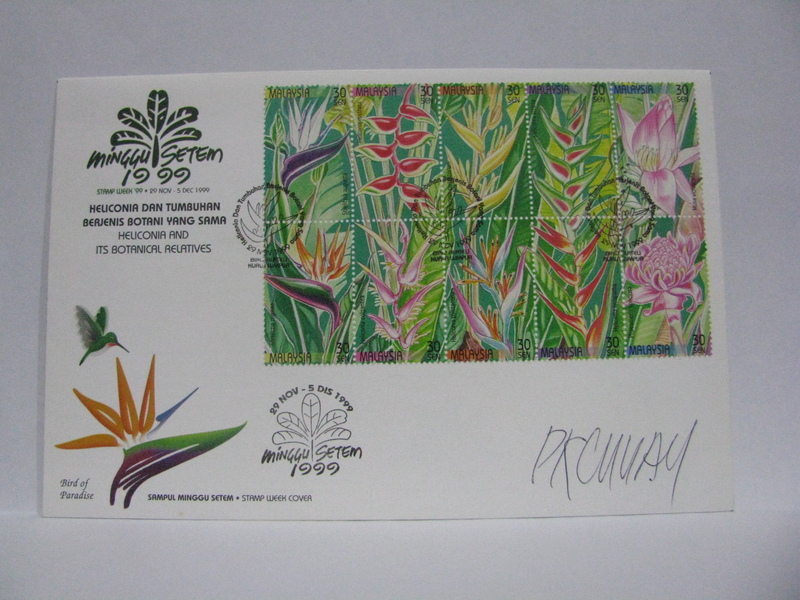 The FDC was cancelled in Kuantan. 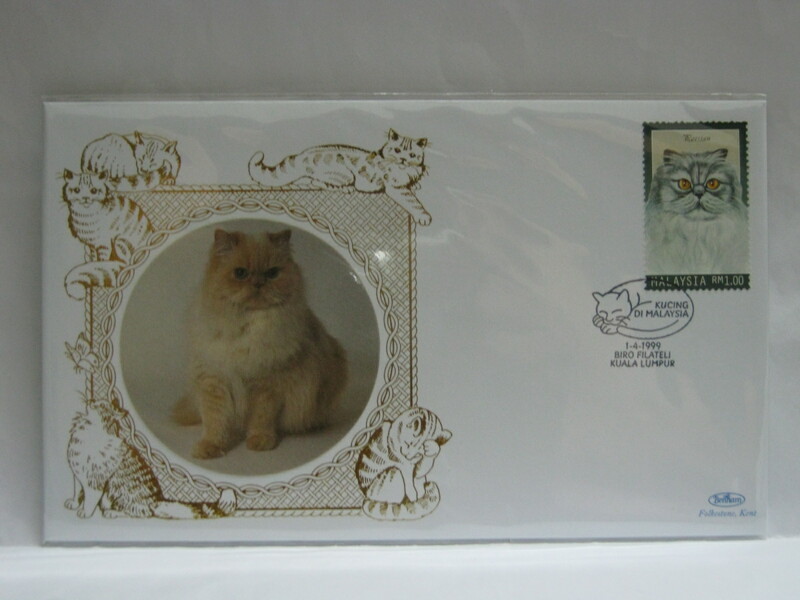 A Portfolio was issued with a larger envelope (commemorative cover) and a mint miniature sheet which could not be bought anywhere else. 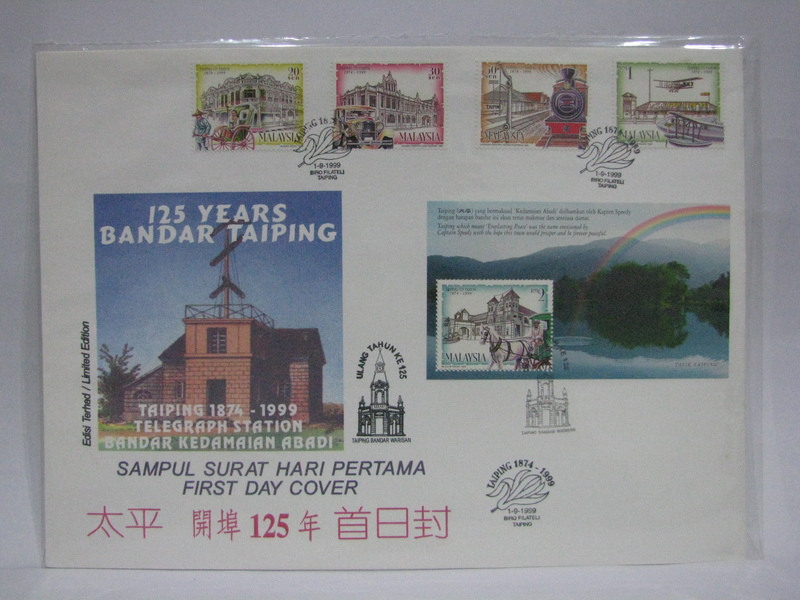 At that time the glut was so severe due to over issue of stamps in the year, thus the portfolio remained in stock for a long time. 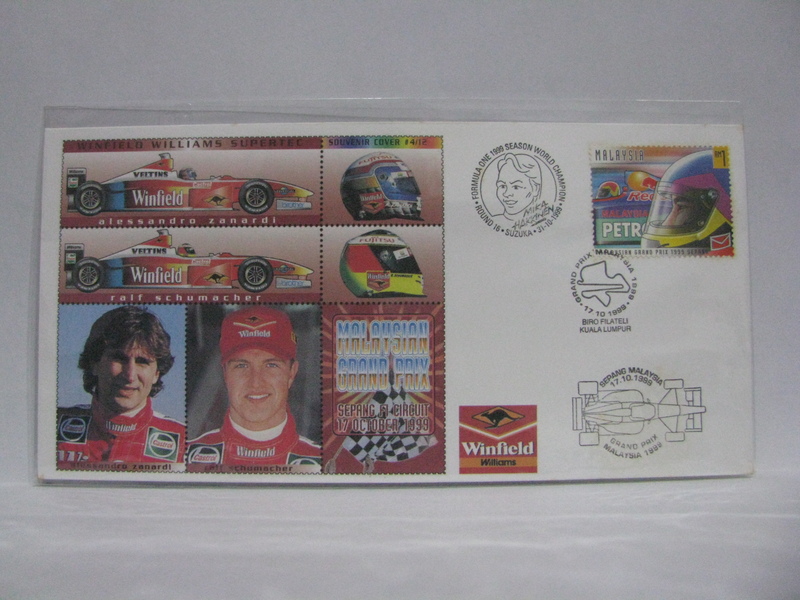 The issue price was steep for those days. 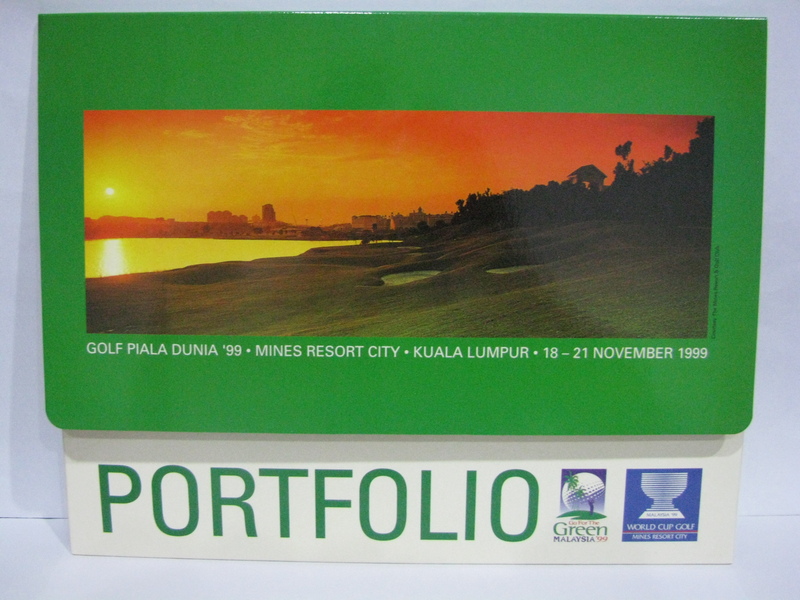 Here is the original portfolio commemorative cover cancelled in Kuala Lumpur. 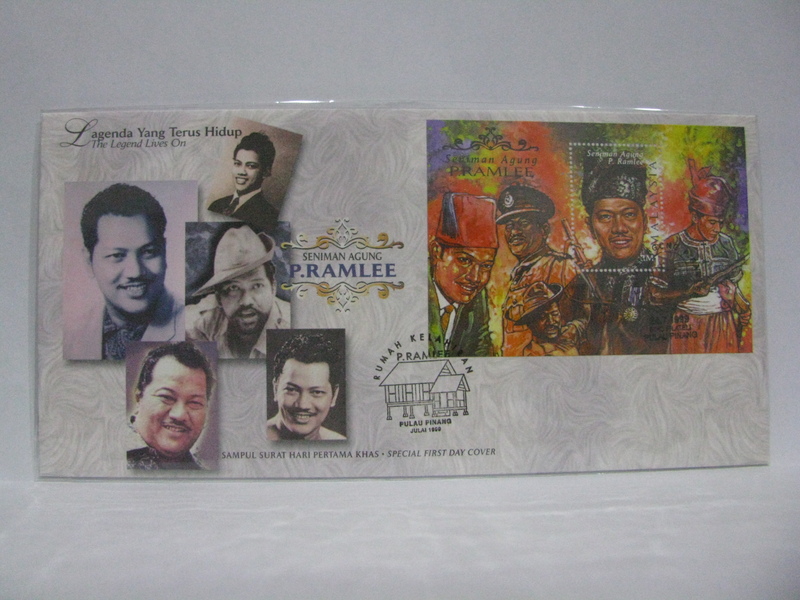 This is the commemorative cover with the miniature sheet cancelled in Shah Alam. 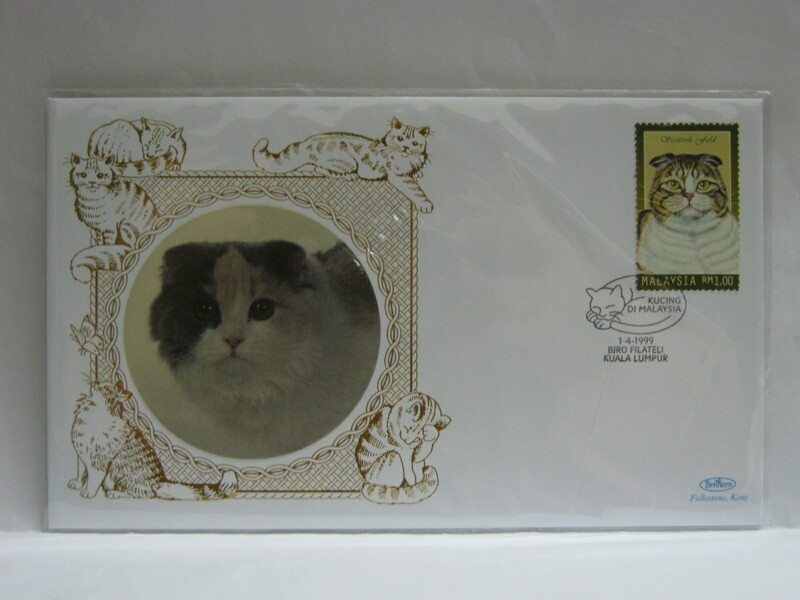 This type of composite cover is selling for 3 figures today. 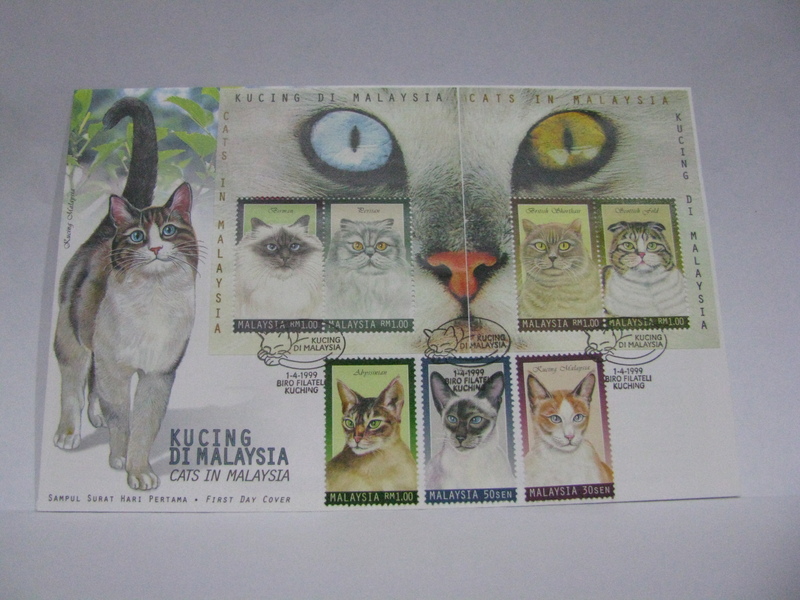 The FDC was cancelled in Kuala Lumpur along with the Stamp Week ’99 cachet. 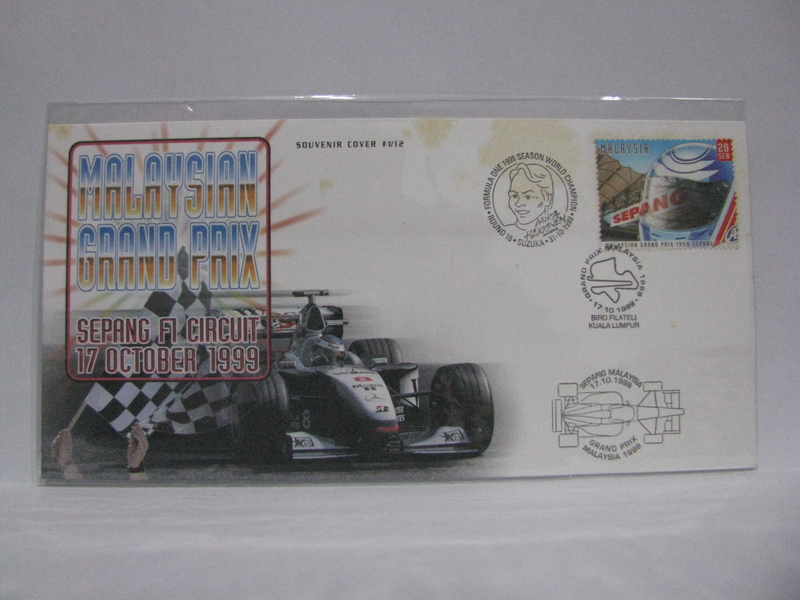 It was signed by the designer, PK Chuah. 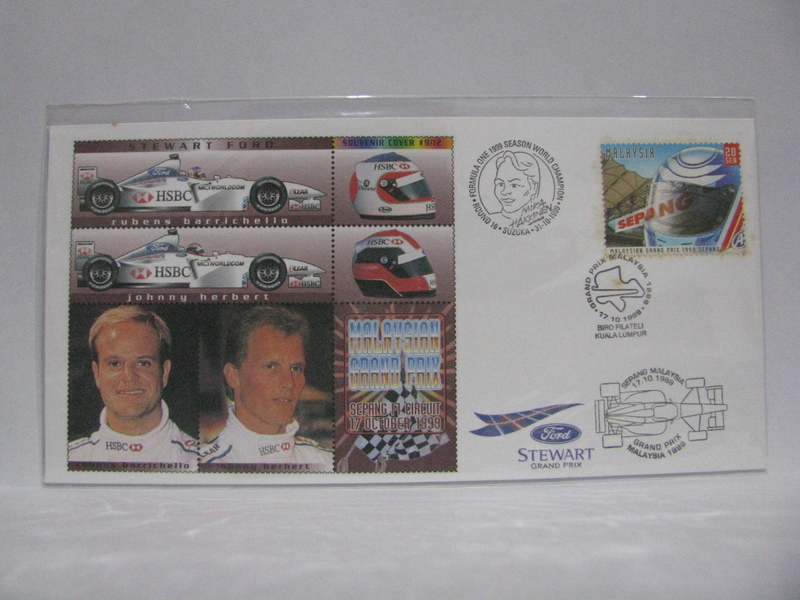 This FDC was cancelled with a complete set of 7 days cancellation and the exhibition cachet. 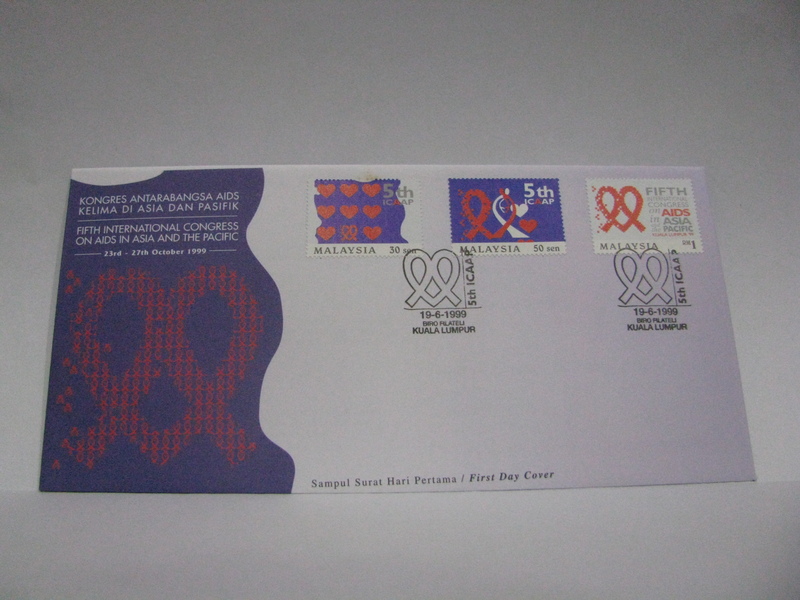 This is the special FDC for the mini sheetlet cancelled in Kuala Lumpur along with the Stamp Week ’99 cachet. 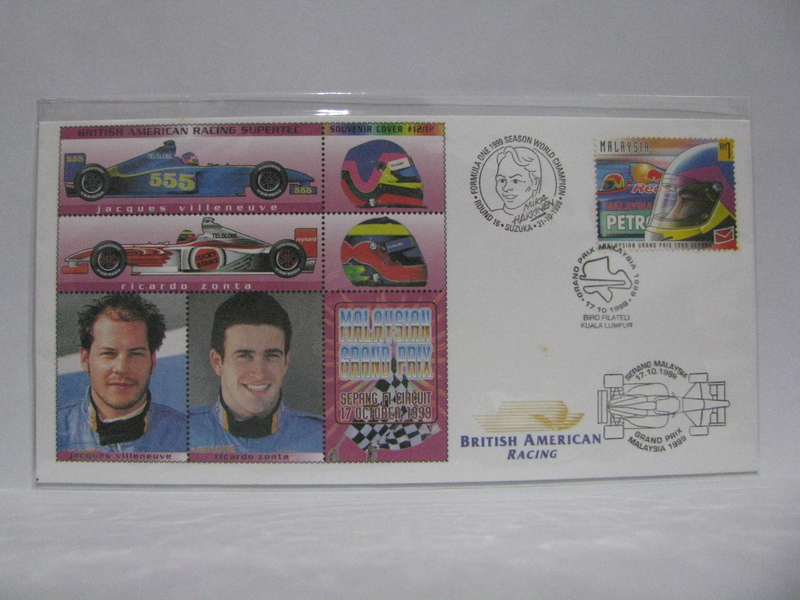 This FDC is the imperforated mini sheetlet cancelled with a complete set of 7 days cancellation and the exhibition cachet. 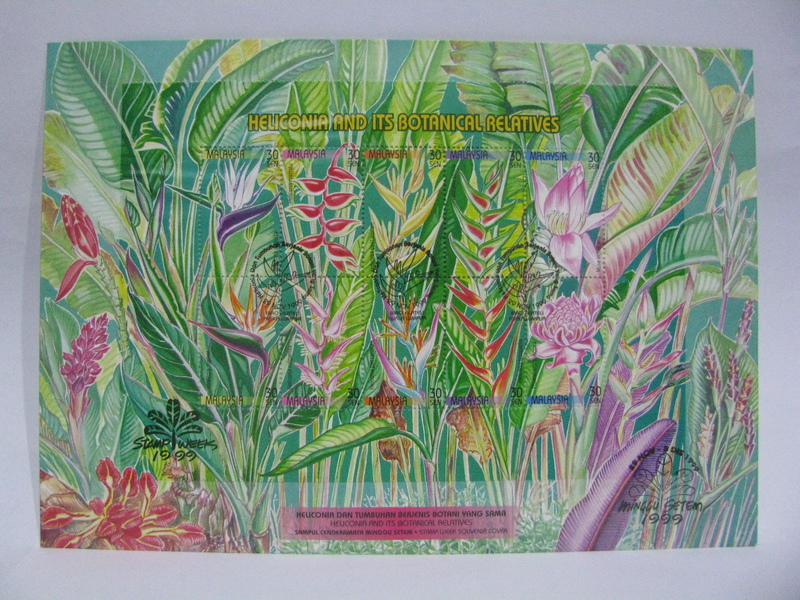 Here is a cover cancelled with inkjet printing. It is a fake cancellation. 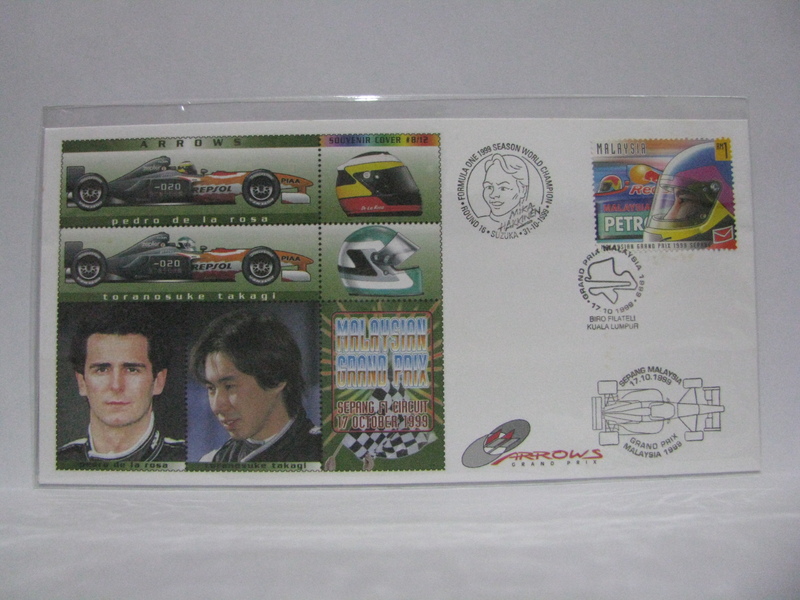 I am separating the Millennium covers as there were too many covers issued for the 2 days. 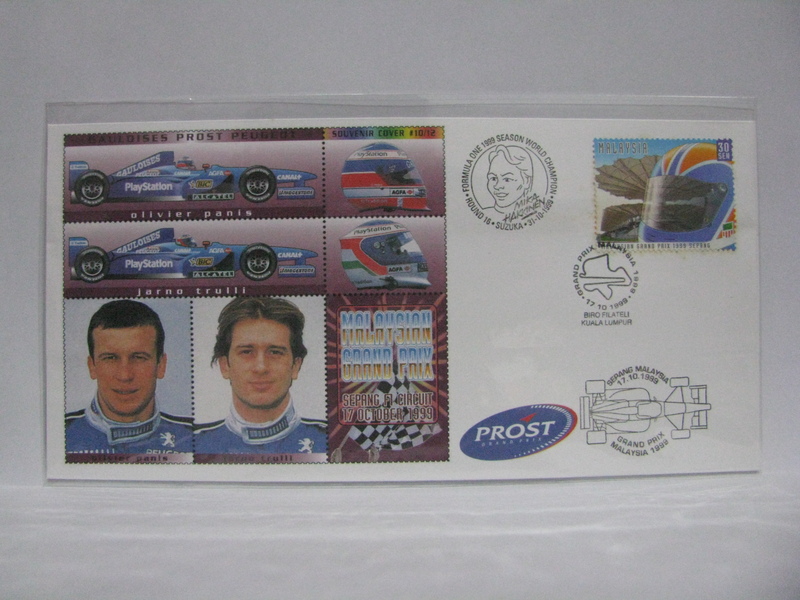 I think you already understand the sheer volume and cost associated with the stamp programme of 1999! 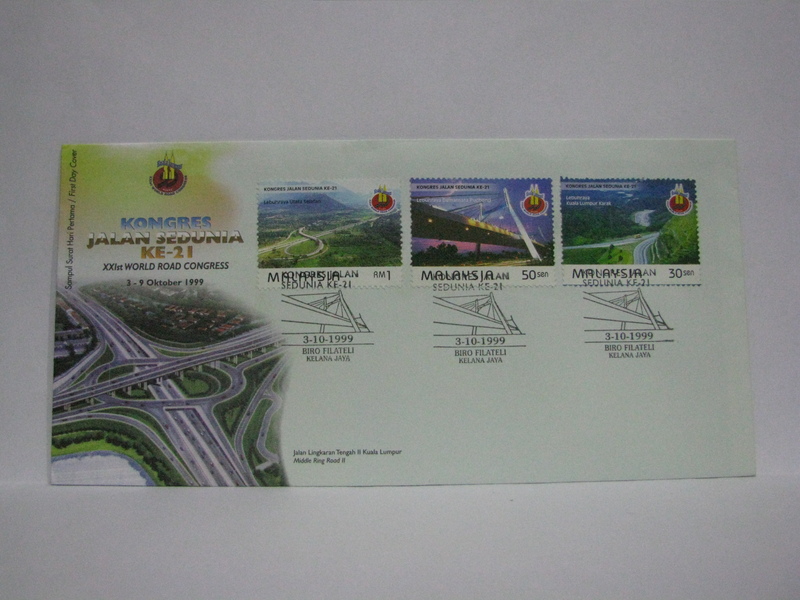 Hi, it really depends on the condition and the cancellation’s location. 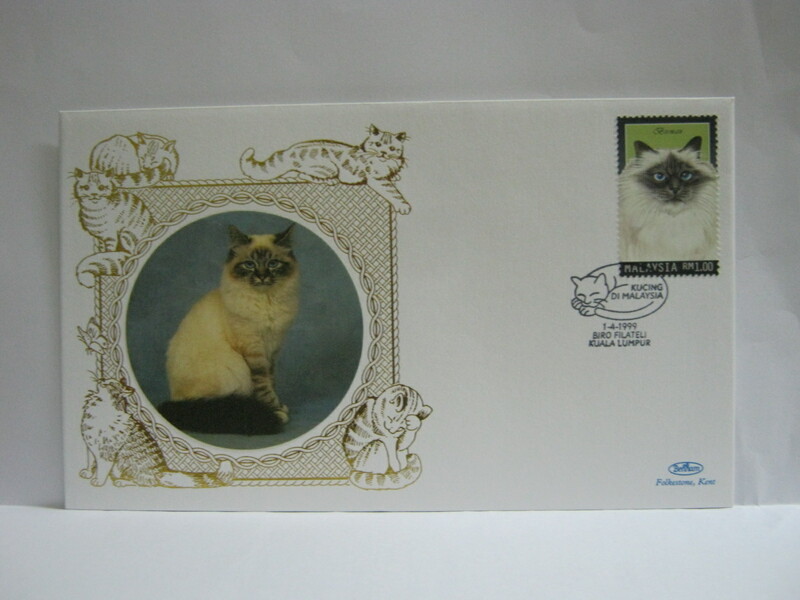 By and large the FDC is common. 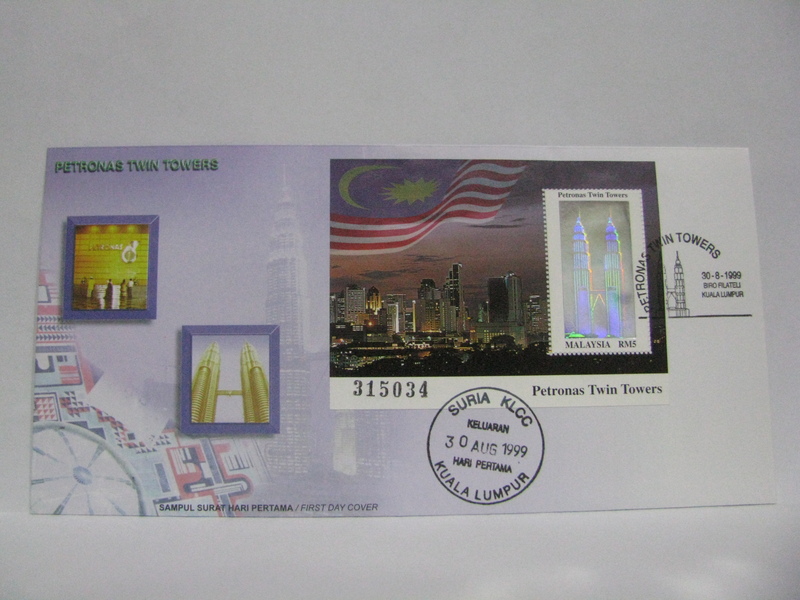 Goes from RM 3.50 upwards. 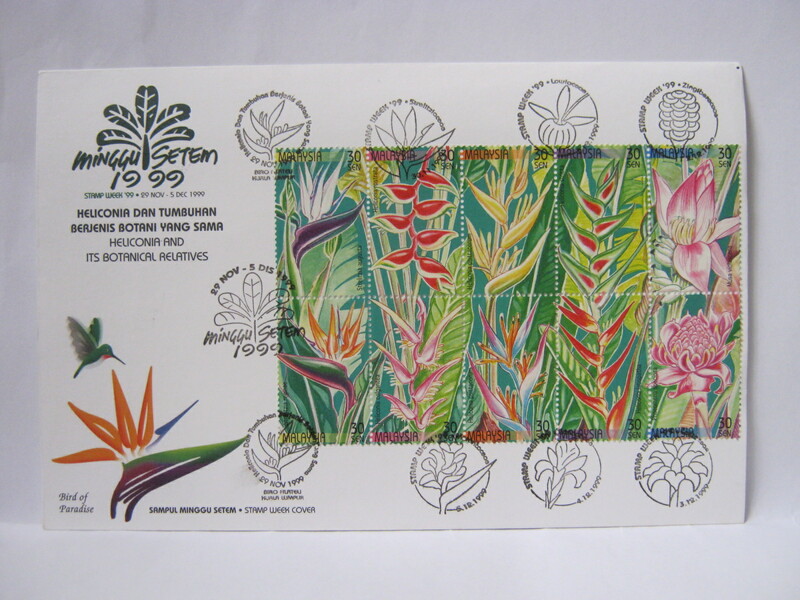 Do you have any full sheets of the 1999 Heliconia issue available for sale ? 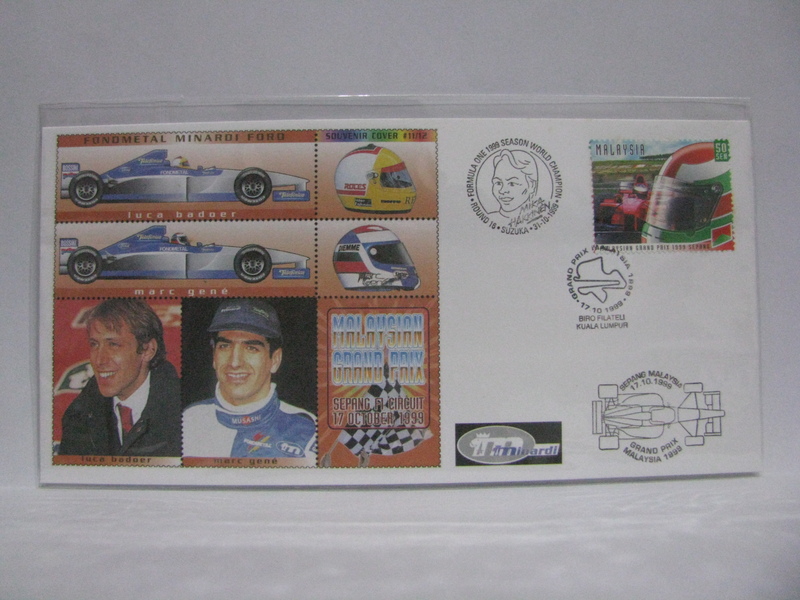 Thanks for reading myfdc. 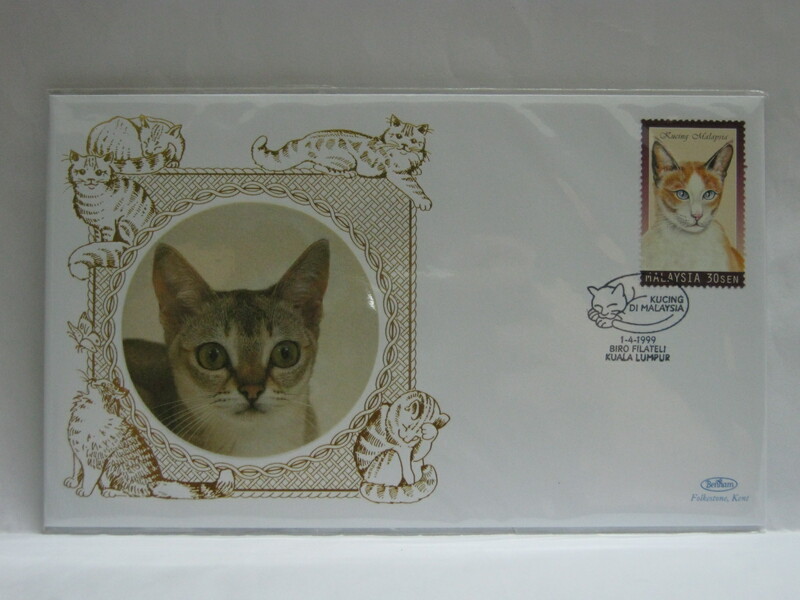 My main focus is on First Day Covers, thus I rarely have spare stamps / sheets. 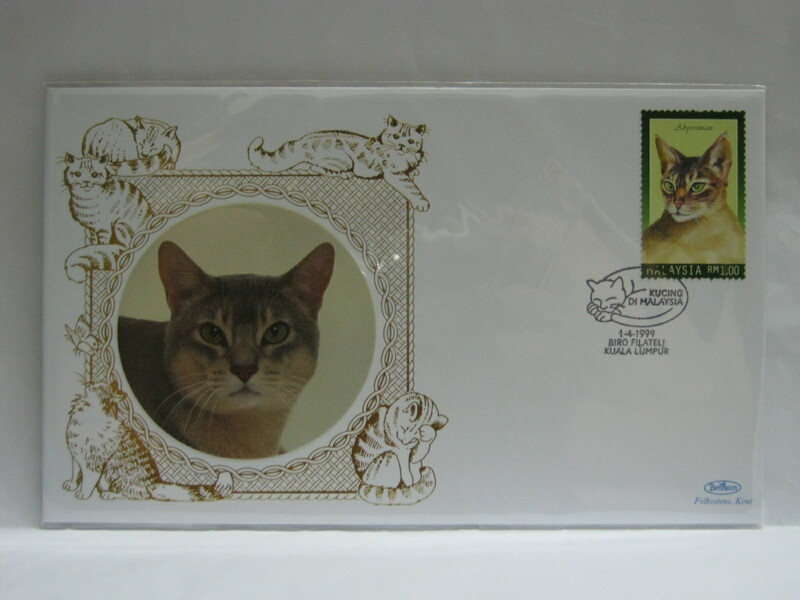 It has been sold out for years but eBay should have sellers.